All reviews are the subjective opinions of third parties and not of the website or its owners. Reviews are placed by members of the public that have held a function or event at Clifton Hotel (Racks Bar). 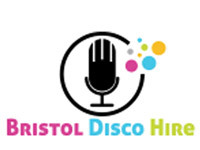 At needadisco.com we only accept reviews from confirmed clients that have booked a DJ to play at Clifton Hotel (Racks Bar) via our website, with the arrangements independently verified by both the DJ and the client before the event takes place - no "fake reviews" here! Helpful information for DJs and entertainers visiting Clifton Hotel (Racks Bar) provided by trusted members of needadisco.com. PARKING: On-street parking is limited, it can be challenging to find a space. If you can’t find a space anywhere West End car park (paid) is about a 5-10 minute walk from the venue. ACCESS: Access will vary depending on where you park. There is street parking however can be full (especially if guests are already at the venue). If you are lucky, a short walk with a few steps takes you into the function room. FACILITIES: The venue clear an area in front of a fixed bench for performers. Space is limited. ACCESS: If you get lucky with parking, it's about 15m walk from the road to the function room down two small sets of steps. FACILITIES: Staff clear an area at the access end of the restaurant area for you to setup. You have a fixed seating bench behind you, but it works. Space is very limited so go with as compact a set up as possible. Venue capacity is about 90 across three spaces. STAFF: Staff are awesome, lots of fun and very friendly and helpful. ADDITIONAL COMMENTS: "Great venue with great ambience. Always lots of fun to work here!" 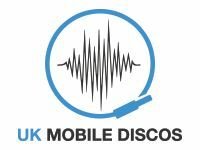 Information is based on enquiries and bookings handled via needadisco.com so whilst it's a great insight, if you have any questions or concerns about holding a function or event at Clifton Hotel (Racks Bar) please contact the venue. Clifton Hotel (Racks Bar) has previously been hired as a venue for private parties such as birthday celebrations, anniversaries, engagements etc. Clifton Hotel (Racks Bar) is in our Hotels category. The map below shows other local venues in the same category. 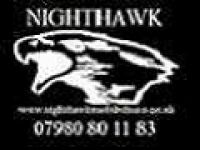 Get FREE no-obligation disco quotes from Bristol Disco Hire and other DJs covering your venue. Take 2 minutes to fill in some basic details and we'll do the rest!